The state’s largest utility said Thursday it would bring on 850 megawatts of battery storage by 2025 to bolster its solar operations in the state. “As storage technology improves and declines in cost, we will increasingly be able to store the power of the sun cost-effectively to deliver when our customers need it,” said Don Brandt, the utility’s chairman and CEO, in a statement. The program will include several partners. APS will contract with Chicago-based Invenergy to install batteries totaling 200 megawatts at six existing facilities. Four of those projects will be completed by 2020, and the remainder will be done by 2021. 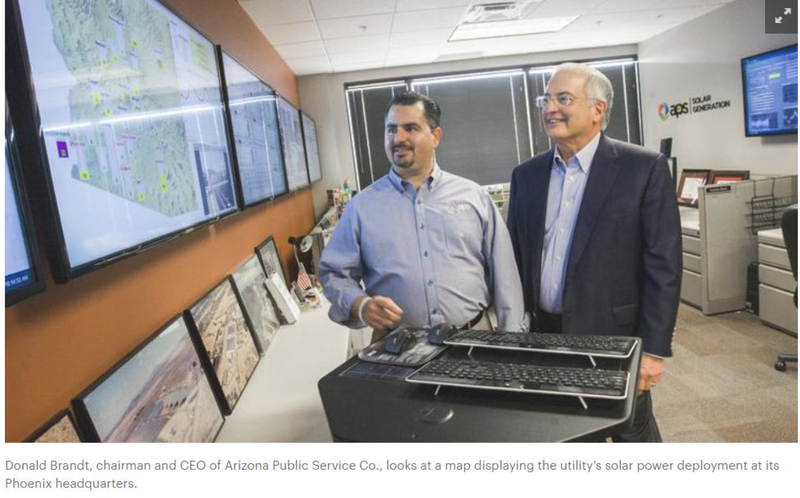 APS also is partnering with Tempe-based First Solar Inc. (Nasdaq: FSLR) on a “solar plus storage” project to be finished in 2021. To read this article in its entirety published by the Phoenix Business Journal, visit here.